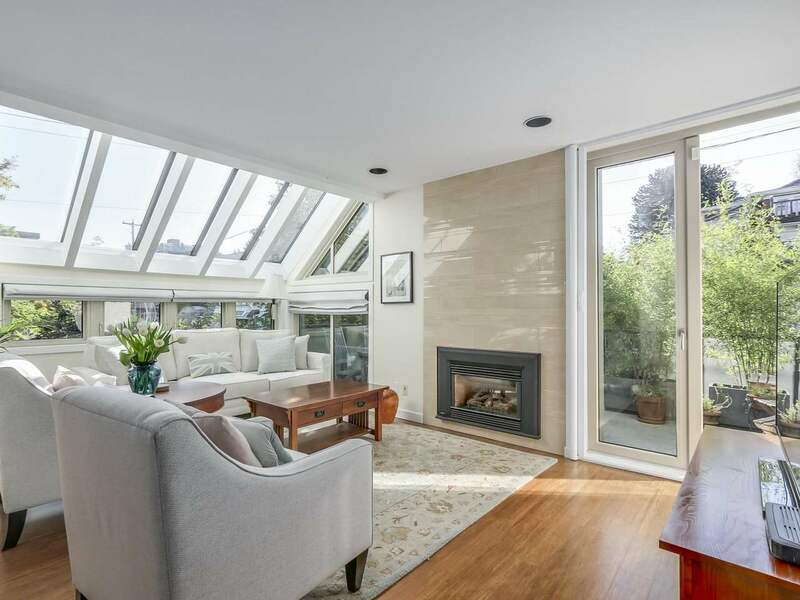 Rare,side-by-side 1/2 duplex, 2blks East of Commercial Dr across from Victoria Park. Close to public transit, shops, cafes, restaurants, parks, playgrounds & schools. Greatneighbourhood vibe. Spacious main floor with high ceilings, hardwoodflrs & gas fireplace, opens to landscaped backyard with great entertaining space. Kitchen features S/S appl., glass backsplash, granite counters, & gas range. 2nd floor: master bdrm w/vaulted ceilings, en-suitebthrm, & his/her closets; 2nd bdrm; laundry, & 2nd fullbthrm. Top floor has an awesome 3rd bdrm that opens to large balcony! 2nd & 3rdflrs have new plush carpet, & bothbthrmshave new vanities & tiling. In-floor radiant heat & lots of storage. Awesome home! Listed by RE/MAX Real Estate Services.